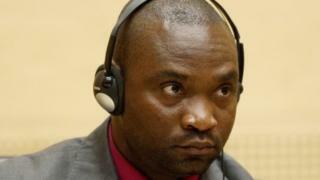 The ICC sentenced him to 12 years in 2014 for aiding and abetting war crimes. “The chamber has assessed the scope of the prejudice to 297 victims as $3,752,620. The chamber sets the amount to be contributed by Mr Katanga towards the reparations as $1m,” said presiding judge Marc Perrin de Brichambaut. A “symbolic” sum of $250 (£200) should be given to each of the 297 victims and a further $1m in “collective reparations”, the judge said. “The order provides for two types of reparations: individual reparations, awarded to individuals to repair the harm they have suffered; and collective reparations, consisting of long-term projects covering a whole community but still focusing on individual victims to the extent possible,” an ICC statement said.